Now, Klokers has upped the ante with a hip new colorway for the new classic KLOK-01 design. While wearing the midnight blue dial for a week, I got numerous inquisitive glances, and more than once got to give the demonstration of how to read it to both random people at the bar and friends alike. The deep blue dial lets this piece fly a bit under the radar, but on second glance, the sharp indexes and unique visual style jump out. Easy band-changing capabilities are retained, and Klokers was nice enough to include the metal mesh bracelet for review – a definitely cool addition to the style. 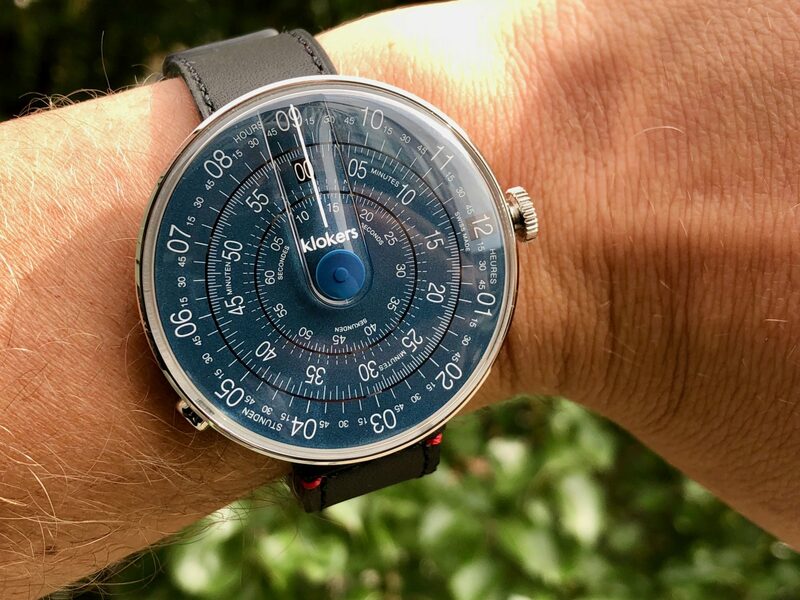 The Klokers Klok-01 is a truly unique, inspired time piece. The combination of interesting materials, a unique, interesting, and eye catching face, clear legibility, and innovative and flexible latching system make this a standout timepiece of any collection – certainly mine. The new midnight blue dial color continues to extend the flair and fashion. Who we think it might be for: Looking for an uncommon, engineering-cool pieces that’s a definite conversation piece, but doesn’t attract too much attention until you ask for it? Then yep, this watch is for you. However, with its plastic construction, I can’t recommend this as a daily wearer, or anything that will be subject to any abuse at all – that plastic is simply too scratch prone. But treat it nicely, and it will shine that deep blue from your wrist for years. What spoke to me the most about this watch: Deep and perfectly colored midnight blue dial – so stylish! Next articleCasio Edifice ECB800DB-1A is motorsport-inspired but can it keep up?